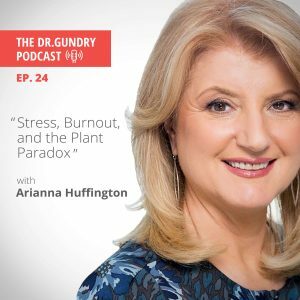 In this episode of The Dr. Gundry Podcast, you’ll get learn tips to help you unwind, disconnect, and eat right as you strive for success. At 25:45, the Sleep Revolution author shares her “sleep routine,” she also tells Dr. Gundry what he should do to prepare for bed as well. At 41:40, Huffington shares her thoughts about the Plant Paradox program. Read physical books in beds like poetry philosophy, novels (nothing work related). Keep your cell phone in another room. Read Arianna’s books: Thrive and The Sleep Revolution: Transforming Your Life, One Night At A Time. 00:00 Hey, there. Welcome to another exciting episode of the Dr. Gundry Podcast, the weekly podcast where I give you the tools you need to support your gut, boost your health, and live your youngest, healthiest life. 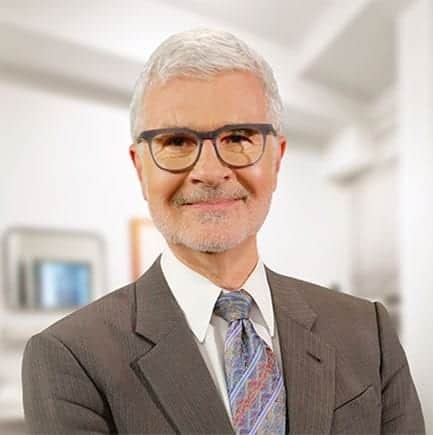 00:19 Each week, Dr. Steven Gundry, a cardiologist, medical innovator, and author of New York Times best sellers, The Plant Paradox and The Plant Paradox Cookbook, shares the latest in cutting edge health information. He’s excited to be a part of your unique health journey. So, let’s get started. 00:37 So, welcome to the Dr. Gundry Podcast. This week we’ve got a special guest and a good friend joining me on the podcast. She’s the founder of Thrive Global and you probably know her as the co-founder and former editor-in-chief of The Huffington Post, Arianna Huffington. Welcome. 00:59 Thank you so much. 01:00 It is so exciting to have you on the program. Now, we’re going to be discussing the importance of sleep, one of your favorite subjects. This is her bestselling book from The New York Times, diet. I also want to talk about your experience with The Plant Paradox and what success really means and who better to talk about success than you. 01:26 You’ve been named Time Magazine’s Top 100 Most Influential People, and that’s pretty important. You’re on Forbes’ Most Powerful Women’s list and you’ve authored so many books including The Sleep Revolution. I must say, over the holidays, I read your book on Picasso, a biography of Picasso. And boy, I got to tell you, it changed my opinion of him. I even have an etching of his and I looked at it in a totally different way now. Anyway, we’ll get into that. 02:01 Two years ago or actually almost three now, you stepped away from your positions at AOL and The Huffington Post and you launched Thrive Global. So you’re offering science-based solutions to try to end stress and burnout. Is that a good summary? 02:20 So, how the heck do you do all these? You’re going to tell us that you can avoid stress and burnout with what you do? 02:29 Well, what happens is that not that you can avoid stress, but you can avoid stress becoming cumulative, until it becomes burnout. I actually reached that conclusion the hard way. I actually collapsed in 2007. Two years into building The Huffington Post, I was the divorced mother of two teenage daughters, and I had bought into the collective delusion that in order to succeed, you have to be always on, you don’t have time to sleep, to take care of yourself. 03:05 And I collapsed. I literally hit my head on my desk, broke my cheekbone and that was the beginning of my studying all the latest science because I’m a nerd like you, and realizing that in fact, all the new scientific findings make it clear that when you take care of yourself, your performance and productivity improve. It’s not just your health that improves but your cognitive performance improves. 03:36 I became more and more of an evangelist. I wrote a book called Thrive, and then because everybody wanted to talk about sleep, I wrote a book about sleep. And two years ago actually, I left The Huffington Post which is very hard decision because it was like a third child. It was a global media company with my name on the door, but I felt that I wanted to spend 100% of the rest of my life helping people lead lives with less stress and avoiding burnout because as you know, stress is so connected with disease, and it is preventable. 04:20 And that’s really what Thrive does. It’s both a media platform, think of The Huffington Post without politics. 04:30 It’s hard to separate those two. 04:31 It had to separate. And also B2B. We’re going to companies and help them improve their cultures and see their return on investments, see the impact on productivity, on engagement, on attrition, on healthcare costs, et cetera. And then, we’ve productized all that into behavior change micro steps, because as you know, the reason New Year resolutions don’t work is because they are so big, and people do them maybe for a week, two weeks, and then they give up. 05:05 So our behavior change prescriptions are all based on what we call micro steps too small to fail. 05:17 So, it’s the New Year. Give me an example of a micro step that you can’t fail at. 05:25 Great. Let’s say that you want to reduce your addiction to your phone and to social media and to technology, which as you know is a growing source of stress because we are all increasingly addicted to this thing and we find it hard to disconnect at night, to go to sleep. 72% of people sleep with their phone by their bed. If they wake up in the middle of the night to go to the bathroom or for whatever reason, they are tempted. 05:58 Even if they tell themselves, “I’m not going to look at my phone,” if they can’t immediately go back to sleep, they go to their phone. And that again, all the science tells us is incredibly disruptive to getting deep sleep. So, one of my favorite micro steps, and we have like over 700, is pick a time at the end of your day that you declare the end of your working day. It’s an arbitrary end because the truth is that anybody who has an interesting job does not really have an end to their day. I mean, you could spend all night answering emails and handling things. 06:43 I could do the same. If anybody tells me, “Oh, I can do everything I could possibly have done by the end of the day.” I said, “I think you should change job. Your job isn’t interesting and challenging enough.” Right? 06:59 Given that, we need to pick an arbitrary end to declare an end. And we declare the end by turning off our phone and charging it outside our bedroom. That’s a little step. It’s a ritual but it’s very significant because you have a clear demarcation between your day life with all these challenges and problems, and your night life which should be all about recharging and reconnecting with the deeper part of ourselves. 07:35 We’ve even produced a little product which is a charging station that looks like a phone bed. It has a little blankie. It can charge up to 10 phones and iPads so it could be for the whole family, and you’re supposed to put your phone under the blankie, tuck it in, say goodnight and reconnect in the morning. And you are fully recharged, both the phone and you. 08:00 Perfect. Now, my friend Dr. Mercola would say that the other reason not to have your phone by your bed is the electromagnetic waves that are constantly coming out of your phone and disrupting almost every cellular function that we have. And you’re right, sleeping with a cellphone near your bed is a really dumb idea. 08:26 And even if you turn it off, and you don’t have to worry about the electromagnetic waves, it’s still a reminder of everything you have to deal with in your life because our phone should never really be called the phone anymore. The last thing we do on our phone is phone anybody. 08:46 It’s really the repository of every challenge, every problem, every demand on your time and attention. And we need to disconnect from that. 08:58 Is there a time during the day that people should have a time out from a phone like we used to have in kindergarten? We had to take a half an hour nap whether we wanted to or not? 09:44 And what’s happened at the moment, our attention span has been dramatically reduced. It’s now actually lower than that of the goldfish. And so, anytime there’s a moment of boredom in the conversation whether it’s over dinner or in a meeting, we automatically go to our phone looking for stimulation. 10:15 Exactly. If we can stay present, then we are really going to be able to contribute. 10:22 Right. You’re a woman, and I have two girls and a wife, and three female dogs, one of the things that I’m particularly empowered by, what do we do with teenage girls and young girls whose lives have suddenly become focused on their phone, in Facebook and Instagram and how they appear? How’s Thrive going to help with all these? 10:58 Here’s what we are doing. First of all, that’s such a major problem ,and we have the data that mental health problems especially among teenage girls. Depression, anxiety are skyrocketing, and it’s a global problem. I just got back from China and India. 11:17 We have an office in Mumbai. Thrive is doing a lot in India. Our biggest investor in our Series A was Jack Ma and Joe Tsai from Alibaba. So we’re doing a lot in China, and the mental health problems among teenagers are real epidemic right now. So what we are doing at Thrive is bringing them all the latest data, ancient wisdom and new role models because people’s minds and hearts are more likely to change through storytelling than data. 12:00 So we bring them the latest science but frankly, what moves the needle is bringing the people they admire who are talking about why they are going on a digital detox or why they are disconnecting from social media. We had Selena Gomez, for example, writing on Thrive about her digital detox and taking time off social media and that moves the needle. In the same way, that among business people, when I had Jeff Bezos right on Thrive why he sleeps for eight hours a night. It went crazy viral. People could hardly believe it, but he had this whole analysis of how it improves his decision-making. 12:44 So you can give people the science. You can give them ancient wisdom which is validated by modern science, but the stories we tell are what help convinced people that there is another way to live and to work. 13:01 Yeah. All of our cultures are based on verbal storytelling up until just a few thousand years ago, there was no written word. There was no other way of communicating. And almost everything were hardwired to receive stories and that’s a brilliant idea. There’s a professor of Neurology at Arizona, in University of Arizona and I’m blanking on her name, but she says that knowledge does not imply action. 13:52 Yes. [crosstalk 00:13:54] He actually analyzed and he said if I get less sleep, my decisions,” he said, “are 5% to 20% less good and the future of Amazon depends on the quality of my decisions, not the quantity of my decisions.” We have a lot of people who are going to be listened to either in business or media or entertainment, writing about what they are doing to take back control of their lives. 14:30 Now, I approached this as you know from the gut and food, and the longer I’ve been at this, the more impressed I am with the power of not only foods but also the microbiome, the guts that live in our gut, the bugs, to actually affect our anxiety and depression. I have some personal experiences with that with one of my children and it is amazing, at least in my humble opinion, the power of certain foods to absolutely make your brain crazy. 15:12 Any mother of a four-year-old knows that a trip to Disneyland with simple carbohydrates, you get a hyperactive child who suddenly then collapses screaming and crying. You can see just immediately the power of certain foods to affect brain function. I’m sure Thrive is incorporating that that into your point. 15:37 Absolutely, and we have incorporated the number one Gundry rule, which is that your health depends more on what you don’t eat rather than what you eat because people may follow different prescriptions, something that may be vegan, that may be meat eaters. But if they can stay away from sugar and simple carbohydrates and processed foods, that’s already a big victory. 16:12 Also, as you know, this sleep movement and diet are incredibly interconnected like I have all the science in the sleep book that if you are sleep deprived, your body physiologically craves carbs and sugars. It’s not even a mental decision. It’s like physiological. 16:40 No, you’re absolutely right. Years ago in my first book, Dr. Gundry’s Diet Evolution, I had a study of actually college students who were put in a slight sleep lab and they were allowed to sleep for eight hours. And then they were awakened, and they looked at a hormone that suppresses hunger called leptin. And the leptin level is nice and high. 17:04 They then took them and allow them to only sleep six hours, and their leptin level was very low but the hunger hormone growing went sky high. That actually proved in fact what we’re talking about that lack of sleep makes you hungry and it makes you hungry for simple carbohydrates. I learned that as a heart surgeon to stay awake all night, I just eat simple carbs to stay awake. 17:33 But the interesting thing is they took the same students, they told them that they were going to let them sleep for six hours but they let them sleep for eight hours. Interestingly, they behaved as if they only had slept for six hours. Their hunger hormone was sky high. So psychologically, they were prepared for a short sleep period. 17:59 It’s amazingly, the power of even anticipation of what’s going to happen. Do you ever use an Oura Ring? 18:08 I love the Oura Ring and I used to use it, but now after and all the work I’ve done on sleep, I’m kind of good on sleep. 18:18 You don’t need it anymore? 18:19 Well, it’s like I do get my eight hours 95% of the time like in all our lives, if something happens, there’s a delayed flight or there is jet lag. But 95% of the time, it’s my biggest priority. And I tell a lot of my friends if they are trying to lose weight and get fit, and they wake up before they’ve gotten enough sleep to go to the gym, I said no. Turn off the alarm and sleep. 19:29 Yeah, Michael DeBakey, one of the famous heart surgeons in the world, only slept about four hours and he lived into his late 90s on four hours of sleep. 19:42 The problem is that people who worked for him, they thought that because Dr. DeBakey slept for four hours, they should too. That’s the problem, and there are some people in positions of authority who have this genetic mutation and that’s why we need to inform people, there’s is a test. As you know, there is a genetic test people can take if they are not sure. 20:06 But normally, I think if you have any kind of awareness, you should know if you have the genetic mutation or not. 20:12 No, it’s true. My brother-in-law who’s a cardiologist really wanted to be a heart surgeon but he knew that he could not go without the sleep that heart surgeons often do. And so, he became a cardiologist so he could sleep more. He’s obviously much more intelligent than I am. But, yeah, I could … The longest I ever went without sleep seriously was 72 hours on call in my residency program. 20:44 And then, I slept for four hours and actually went to see an orchid show, it’s a true story. Now, looking back, most residents before the rules of how long a resident could stay in the hospital, we were so sleep deprived and made quite frankly bad decisions. But our mentors had done that and dogged on it. If they were going to do it, you have to do it. 21:10 You would do it. But we’ve done a lot on the Thrive media platform about doctor burnout. As you know it’s a real crisis and the increasing doctor suicides, and we had a great surgeon from Cedar Sinai who wrote a very powerful piece about his own experience and the changes that have to happen. 21:32 So we are trying to put a spotlight on this crisis, in the same way we’re trying to put a spotlight on the crisis you mentioned among teenagers, and we’ve launched a program of mental health on campus. We have, at the moment, Thrive editors in over 70 universities working with students, writing about what’s happening because as you know, a lot of colleges don’t have enough mental health facilities or the ability to provide the help that students need which often is incredibly simple. 22:12 Just the right foods, the right sleep and movement can deal with an enormous amount of mental health problems. We’re not talking about bipolar disorders or schizophrenia. We’re talking about garden-variety depression and anxiety, and they are so connected to what we eat, how much we sleep and are we moving. 23:09 That’s what we’re trying to do, to form communities, to give people a platform where they can share their problems, where they can support each other and to also offer them knowledge and micro steps. I love what you said, knowledge is not enough. 23:28 I have my Apple Watch. It can tell you a lot of things and it’s going to be able to tell you more and more things. It can tell you your heart rate variability, your blood pressure but if it doesn’t tell you, so what can I do? 23:44 That’s exactly right, yeah. That’s exactly right. 23:48 My blood pressure is high, what do I do? Do I go to emergency? 23:51 Maybe it says, “Chill out. Go to bed.” Maybe it should do that, I don’t know. Actually, this crazy thing says … This morning it says, “You should try to go to sleep between 7:45 and 9:00 tonight. And I’m looking at my phone going, “7:45?” I’d love to do that, but I’m actually probably going to be driving back from Gundry MD up to Santa Barbara about that time. 24:51 But even speaking of sleep, up until the light bulb was invented, our source of light was candlelight or gas lamps which have a lot of red and yellow spectrum light which actually is very calming and sleep inducing. Now, we have very white light which has a lot of blue light in it and most of our devices are blue light. And as you and I know, blue light is what keeps us awake. 25:24 And I think one of our struggles with sleep in the modern era is we’re just constantly bombarded with blue light. It’s on our TVs, it’s on our phone. 25:36 That’s why it’s so important to disconnect from screens and leave yourself a little time for a transition to sleep. In the Sleep Revolution, I write about what do we do with our babies. We don’t just drop them in bed. We lower the lights. We give them a bath. We sing them a lullaby. We prepare them to disconnect from the world. 26:07 We read them Goodnight Moon which is a very psychologically profound book, disconnecting from every item of your room and your world. I actually recorded on Audible a parody called Goodnight Smartphone because we need to help ourselves of a transition. I get a transition to sleep. I tried to make it 30 minutes before I’m going to turn off the lights. 26:33 But even if it ends up being 10 minutes, I like to have a hot bath or a hot shower which is really like a ritual cleansing away of the day. And wear dedicated sleep clothes. I used to sleep in the same clothes I went to the gym in, not literally the ones I wore that day but the same T-shirt and sweatpants. 26:57 And then in bed, I only read physical books, and books that have nothing to do with work, reading poetry, philosophy, novels. And all those things prepare our brains to go to sleep because it’s not our bodies that need preparation, our bodies are exhausted by the time we get into bed. But if our brains are going, going, going, we need to slow them down. 27:25 What I’m getting from you is I’m going to call Penny my wife, and so I want her to give me a bath and sing me a lullaby before I go to bed every night. Is that a good idea? 27:37 Well, you don’t need your wife to do it now. You can do it for her. 27:44 Okay, that’s a great idea. 27:45 Tell Penny, “I’m coming tonight and I’m going to prepare you for bed. I’m going to get you for bed,” and then you can get into bed and read Rumi or your favorite poet together. 27:57 All right. I’m going to pet my dog or something. So, you are the epitome of the powerful, successful woman. What does success mean to you? Do you have any definition? 28:16 Well, in Thrive, the book I wrote before The Sleep Revolution, I tried to redefined success because success in modern life has been reduced down to these two metrics of money and power/status. And I feel this is an incredibly shrunken definition of success. I wanted to expand it to include what I call the third metric, which includes wellbeing or health. If you don’t have your health, it doesn’t matter how much money or how much power you have. Your life is so diminished. Wisdom, how can you tap into the wisdom we all carry in us but so often we’re disconnected from. 29:07 The third part of the third metric is wonder. Life is so filled with wonder whether it’s nature, the goodness of human beings, or music, or anything that we are drawn to. And so often, we’re so distracted that we miss it. I remember when I started changing the way I worked and lived, walking down the streets of New York in SoHo where I live as you know. For the first time, I actually looked around as opposed to being on my phone or texting while walking. And I was with a friend and I remember saying to her, “This building is so beautiful. When did it go up?” And she said, “1930.” And I wonder what else have I missed? 30:00 And the final part of the third metric is giving. A full life includes giving, whatever form it takes. It doesn’t have to be financial giving. It can be giving of yourself. It can be having personal connections with people that we normally tend to have impersonal transactional connections with whether it’s the barista in the coffee shop or the person who cleans our office. I think that’s what creates what the Greek philosophers called the good life. 30:40 I’ll tell you an interesting story there. I talked about it in my next book, The Longevity Paradox. During college, in medical school, I was a scrub tech, a scrub nurse in an intercity hospital in Atlanta called Grady Memorial, and I worked the night shift. And we had a black gentleman who mopped the floors and he always had an unlit cigar. And he always had a giant smile on his face and he was always singing as he mopped the floor, humming. 31:58 And that was great success and great happiness. And it stayed with me ever since, and I actually write about it in the next book. 32:07 That’s amazing because he does really … He had found meaning in his job. 32:11 Exactly. And he was right. That’s why he was singing all the time and happy. You’re right. We got to find meaning and that’s success. I got to agree with you. Similar thing, why are so many people afraid about failing? Nobody wants to fail anymore. 32:35 I know. Well, I was very lucky I have a mother who would have loved you and you would have loved her. And she drummed into my sister and me the fact that failure was part of life. There’s nobody who succeeded who has not failed along the way. We could do an entire podcast on my failures. 32:56 So, she used to say, “Failure is not the opposite of success. Failure is a stepping stone to success.” So, she made us be willing to take risks because if you’re not willing to fail, you’re not going to take risks. And anything interesting in life has no guarantees. 33:18 True. Yeah, it’s very true. 33:19 And so, I feel very lucky that she gave us unconditional loving, meaning her love wasn’t conditioned on whether we succeeded or failed. And that was like a foundation for us to aim for whatever we wanted to try and do. 33:47 Exactly. Now, she would come home from school with our grades with flowers for both of us no matter what we got. 33:56 Yeah, because she knew we’re making an effort. So, effort is like … It’s not like we’re lazy or not working but her love was not just conditional on whether we got the A. And you see, now we would talk about teenage girls and mental health problems. We see so much pressure being put on them to excel, to get into an Ivy League’s college. Again, none of that is really what determines a good life, even a successful life in a broader sense of success. 34:29 What do you tell like a tiger mom, just to use an example, that maybe this getting your kid into the best kindergarten and they better have straight A’s and they better have SAT scores off the top or they’re failures. How do we help this current trend? 34:51 Well, actually I love Amy Chua who wrote The Tiger Mom. When my book Thrive came out, she actually invited me. She’s a Yale law professor. And then she invited me to Yale and she and I did a conversation called Striving versus Thriving. And we talked about that and my argument to the ultimate tiger mom was that … You look at the data. It’s not working. It’s like it drives kids to major problems and to lacking the self-confidence which is still key to achieving things and trying for things. 35:34 And so I think we need to look at the data of what pushing our children too hard is doing. The over scheduled child that goes from violin class to an additional reading class and another preparation for SATs, et cetera, et cetera. And what for? 36:00 Yeah. Nobody has a time to be a kid anymore as far as I can tell. 36:05 And that need for playfulness which is part of our own need as adults too to ability to play, to ability to enjoy life no matter what because there is no life that doesn’t include challenges is something that you’ve learned as a child. 36:26 At Thrive, do you have play time? Here at Gundry MD, we have gym. We have dogs. Is there playtime schedule? 36:37 Yes. First of all, we have cultural values. And one of them is relentlessly prioritize and get comfortable holding completions because if you are not comfortable holding completions, you are never going to have that arbitrary end to the day which always includes incompletions. 37:49 And our chief content officer, for example, said, “What’s important to me is to be able to make my therapy appointment every Tuesday, you know, at seven o’clock,” whatever. It’s a very reasonable request. And she had not been able, in her previous job, to go on time forever. She found in the company called an accountability buddy. And the accountability buddy is responsible for getting her out of the office by 6:00 so she can make her appointment at the other end of town by 7:00. Literally, she could take her things and put them by the elevator. 38:39 And I feel this is just a small example of how you can support each other at work, not just in terms of what you are doing for work but what you are doing to actually make your life healthier and more effective as a result. And then it also creates real bones among coworkers. 39:04 Thrive now is teaching companies how to do this, right? 39:11 Because you mentioned earlier and I totally agree that work … If you don’t have healthy employees, everything falls apart. The days lost from illness in this country, the insurance costs are really what we’re killing companies. You may have great people but if they’re not doing well … So, give me an example. How do you come into a company and effect change? 39:39 We come into a company and we have a lot of multinational companies like Accenture, JPMorgan, Nestle, the Hilton Hotels. And we do workshops which can be half day, day long, two-day leadership workshops, executive workshops, call center employees. At every level, we work with them to reduce stress. 41:25 And this simple interventions have a game-changing impact because as we said at the beginning, you’re not going to eliminate stress. What we can prevent categorically is stress becoming cumulative until we get home and we can’t go to sleep because we’re so wired and our cortisol levels are up. Or we have to self-medicate to bring ourselves down. 41:58 Instead, we’re going to have a hot bath and then a lullaby. 42:02 A lullaby and light a candle, whatever works for you. 42:10 Tell me about your experience with The Plant Paradox? 42:12 I loved reading The Plant Paradox and practicing it because it rang so true. And then, I saw how good I felt when I avoid it, the simple carbohydrates, the processed foods and the meats that were not grass-fed. And I love this sort of how deep you go into this distinction between really grass-fed and “organic” which may mean simply that the chickens and the cows have been fed corn or all the things that actually are not what our body is made. 43:03 It’s been really great and I love that I can eat good cheeses since that’s my weakness. I can give up sugar but a good Swiss cheese are good cheese that’s not processed and found already pre-wrapped and everything, and just changes the way you feel and your energy and how you wake up. 43:34 Well, and I haven’t seen you in a couple of months now and you look fantastic. 43:39 Thank you. I think you’ve made … And you make it also science-based which I love and simple to practice. 43:49 We’re going to go to the audience’s question now. Betty Butterfly, “Dr. Steven Gundry, Can you help me clear something up? I’m having a debate with some folks about this.” Oh, I love debates. “Elderberry syrup for the flu, is this compliant?” That’s a good question. 44:11 Elderberry can actually be useful but it’s actually useful because of the polyphenols in it. You don’t actually need the syrup. You can even take bilberry or elderberry capsules and eliminate all the sugar that’s in the syrup. But I’ll give you a better tip: Vitamin D, and you’ve heard me say this before, is incredibly antiviral and you need to take a large dose of vitamin D when you feel a cold or flu coming on. 44:43 I personally take a 150,000 international units a day for three days. That’s about a half a million international units. If you feel squeamish about that, try 50,000 three days in a row. The University of California San Diego has shown that 40,000 units a day every day cannot produce vitamin D toxicity, so please don’t be afraid of a high-dose vitamin D3. That’s the best way to break the flu if you catch it early. 45:18 Second question she has, “What about veggie juices?” Here’s the problem. The really good stuff in vegetables is in the pulp and when you juice a vegetable, you’re throwing the pulp away. What I’d much rather you do is get yourself a Magic Bullet or a Blendtec, a Vitamix, a Ninja, a NutriBullet and blend your entire vegetables. That’s in all my recipes, make a smoothie out of it. 45:50 If you are going to choose, believe it or not, throw the juice away, take the pulp and put it in what you’re going to prepare. In fact, I’m going to have a book coming out the fall on how to do this. 46:01 Where can people find you and Thrive? 46:05 Thrive is ThriveGlobal.com. And also in every social medium, AriannaHuff with two F on my Instagram and Thrive’s Instagram. And what do we love is to invite you all to contribute and share your stories. We have over 35,000 contributors, people who write about their own experiences, and you never know who is going to read it and be influenced and be helped by it. To make it super-easy, I’m going to give you my email address, and you can email me directly, ah@thriveglobal.com and then we give you a password and you can post whenever you want and we social all the good things. And that’s how we create a thriving community. 47:03 But you’re not allowed to do this in the middle of the night, right? 47:04 Not at all, not in the middle of the night. You have sleep and recharge in the middle of the night. 47:15 Thank you so much. Thank you. 47:16 And thank you for being such a proponent of The Plant Paradox. 47:21 I love Plant Paradox, and thank you for writing it and for spreading the word. 47:26 And thank you for spreading the word. So, this is Dr. Gundry. We’ll see you next time and I’m always looking out for you. 47:35 Thanks for listening to this week’s episode of the Dr. Gundry Podcast. Check back next week for another exciting episode. And make sure to subscribe, rate and review to stay up-to-date with the latest episodes. Head to Dr.Gundry.com for show notes and more information. Until next time, I’m Dr. Gundry and I’m always looking out for you. I am trying to find out if the Sleep Fast a natural acting sleep aid was got from you. I am nearly out. Works great. Need to reorder. Hi Loved this. But I do have a question I don’t see on the site anything about the vital reds being made from organic plants. Are they? Yhanks for doing everygthing,but it’s just to much for me. Is MORINGA POWDER compliant in the Plant Paradox list of okay supplements?